Ep.13: "Are You Feeling Lucky?" Ep. 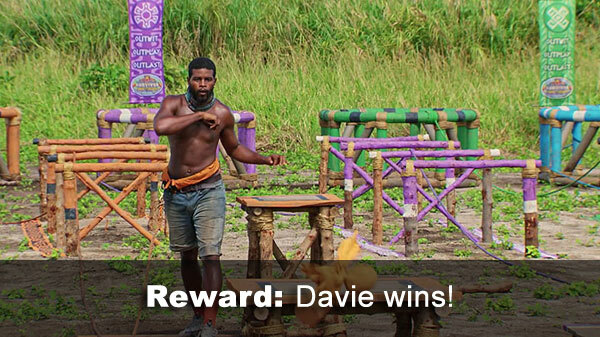 13 Reward challenge: "Pole Dancing" - Davie takes an early lead, and eventually wins. He picks Nick and Kara to join him on a getaway reward, overlooking Angelina's selfless pleas. Ep. 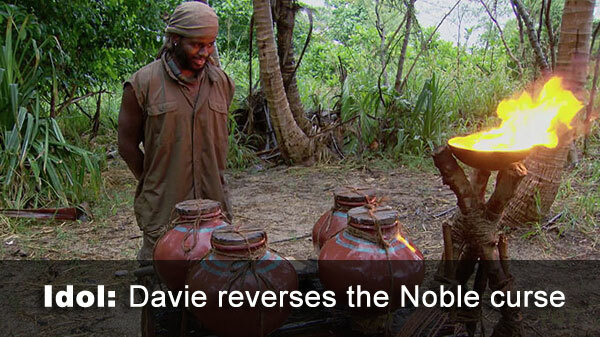 13 idol: Davie finds a clue, has to go to the same spot as the merge feast to retrieve, then is faced with the Chris Noble game from Ghost Island. 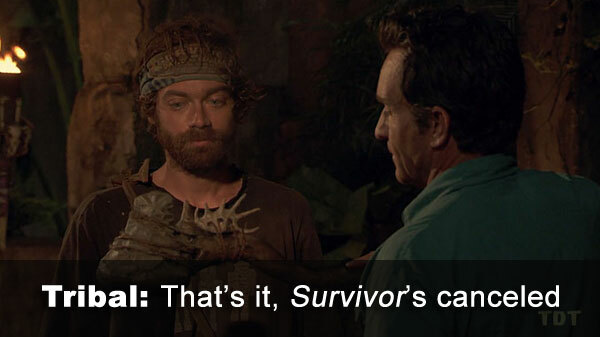 He declines to play, making the idol only active at the F7 Tribal, but he keeps his vote. Ep. 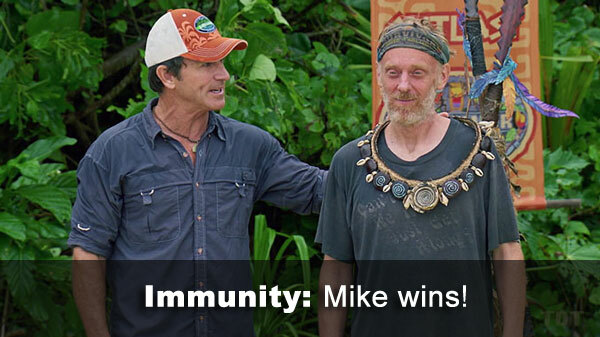 13 Immunity challenge: "Rollerball" - In which Survivor finds a challenge Mike White can win! Ep. 13 voted out: Christian, 3-2-, over Alison. Davie correctly plays his idol for himself, Nick does so as well, but nobody voted against him. Notes: Despite what was (not) shown on TV, a late shot showed everyone in the RC had multiple blocks knocked down, so while Davie and Nick were clearly #1 and #2 respectively, everyone else tied for 3rd. - Christian received 3 votes, from Angelina, Kara, and Nick (voted out, 3-2-). - Alison received 2 votes, Christian and Davie.